The undeniable fact of home mechanics is our heating and air conditioning unit will eventually stop working. 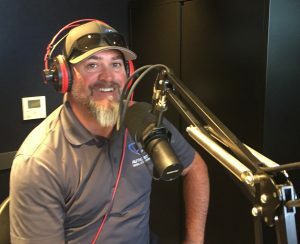 So joining us for this podcast episode is Dave Campbell of Authority Heating and Air Conditioning to help us prepare for our home’s inevitable request. We want to know when is a good time to replace that broken down Heating and Air Conditioning unit? How much of the ducting and venting system can be reused? Where can I save the most money on the best system? Lets Ask The Contractors because we have answers from Dave. It’s that time of the year in California between Summer and Winter when Mother Nature pulls on the seasons like a temperature tug of war. Is it going to be stuffy-hot in your home, or will the cold air demand a sweater and coat? If you struggle to stay comfortable during the large temperature swings of Fall it may be time have your HVAC system checked for a tune-up. Learn what to look for in a full-system tune-up and how a certified Heating & Air technician can save you money through efficiency. Plus you’ll learn where to score with a $49 HVAC Tune Up Special. Remember to tell them you heard about it on AskTheContractors.com to receive the best price possible. Thank you Dave Campbell from Authority Heating and Air Conditioning for joining us. Family owned and operated with 28 years of experience in the HVAC industry. Send us your comment. Do you have a question for any of our Ask the Contractor Pros? We want to hear from you. Drop us a line below to have your question answered on the air. Subscribe to the podcasts of AsktheContractors.com tthrough itunes for IOS, Google Play for Android or Stitcher Podcasts to have them downloaded to your computer.